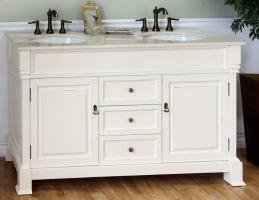 This bathroom set will bring functionality as well as wonderful style to the bathroom. 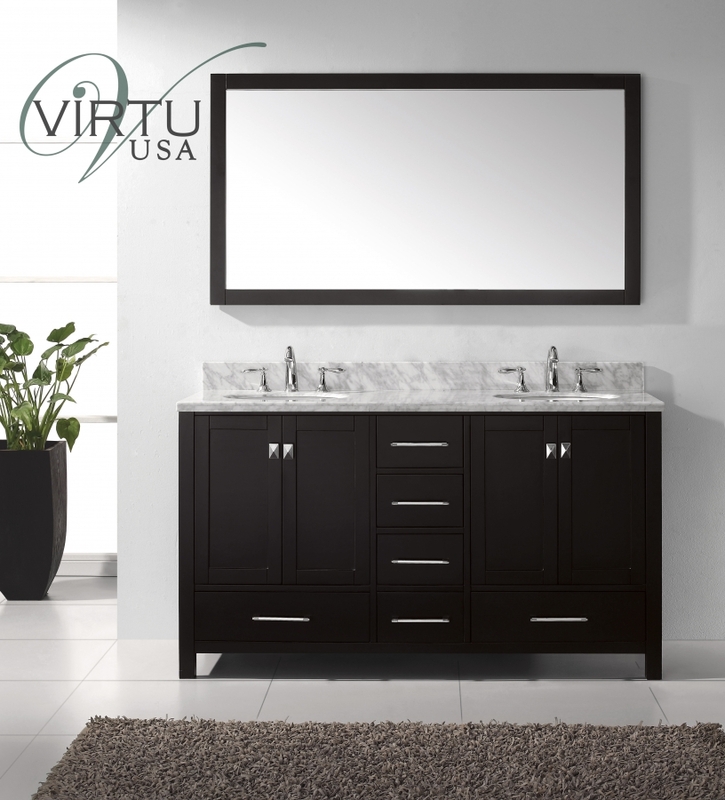 The large vanity offers ample room for storage with two double door cabinets and six drawers. 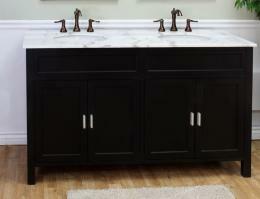 The dark espresso finish is the perfect compliment to the white marble sinks and counter top. The matching mirror completes the look of the set.